Elizabeth Shaffer Stevens grew up in northwestern Pennsylvania. “Beth” was a very active high school student serving as Senior Class President, Student Council member, participating in theater and performing as a majorette. Upon graduation Beth attended the University of Pittsburgh where she earned a Bachelor’s Degree in Communications and Business Management. After graduation Beth moved to Virginia Beach, Va. where she met her future husband, Mack Stevens, while volunteering at a blood drive. Beth and Mack were married in the summer of 1992. Soon after, she learned first- hand how to face large challenges when she unexpectedly began losing her eyesight at the age of 28. In just eight short years, Beth lost all her usable vision and had to learn how to live, work and volunteer in a world without sight. After completing vision rehabilitation, Beth returned to work for the United Way. At one of her presentations, the American Red Cross convinced her to join their staff. Beth and Mack have volunteered together in the Hampton Roads community for 25 years now including their work with the Lions. Despite personal challenges, Beth has served the Lions with robust vigor through the years. She has served the organization with Beth served as Club President in 2012- 13. Under her leadership and thanks to club members teamwork, the Virginia Beach Town Center Blind Lions club grew to over 50 members, was honored for outstanding community service by the Virginia Beach Mayor’s Committee for Persons with Disabilities, Volunteer Hampton Roads and Lions Clubs International. LCI honored the club with an international world of service award for service to the blind at the International Convention in Hamburg Germany. Her other honors include: Lion of the Year, Proud Sponsor, two International President’s Certificates of Appreciation and a Melvin Jones Fellowship. Beth Stevens was inducted as the District Governor for Lions of Virginia District 24D at the Lions 100th International Convention held in Chicago, IL on July 4, 2017. District Governor (DG) Beth acts as the International President’s liaison to 56 Lions Clubs located throughout Southeastern Virginia. In July 2014, Lions Clubs International launched a four year Centennial Service Challenge for Lions Clubs to serve 100 million people around the world by June 2018. To date, Lions have impacted the lives of 170 million people through our service projects. Locally, the Denbigh Lions Club has contributed their efforts toward this goal and were recognized for their service. Lions engage in five focus areas: saving sight, diabetes, protecting the environment, hunger relief and pediatric cancer. As the organization moves forward, it will be up to DG Beth and Lions within our community to lay a strong foundation for our second century of service. DG Beth believes the Lions of Southeastern Virginia are ready for the challenge. She embodies our centennial motto: “Where There’s a Need, There’s a Lion.” DG Beth encourages everyone to help the Denbigh Lions Club make a difference in the community by getting involved today. Doyle Eckert was born in Crestline, Ohio. After graduating high school in 1949 he worked for a general building contractor who didn’t use sub-contractors, thus the work covered a wide variety. In 1952 his “friends and neighbors” called him to serve his time in the Army. Eight weeks of infantry basic and eight weeks of engineering basic training was completed at Ft. Leonard Wood, Missouri. He was then selected to attend Construction Surveying School at Ft. Belvoir, Virginia. After completing the school he was sent to Korea and assigned to the 82nd Engineering Pipeline Co. from January of 1953 to May of 1954. After being discharged he returned to Ohio and entered Ohio University. The GI bill and summer surveying jobs covered the tuition and living expenses. After graduation in 1958 with a BSCE degree he came to Newport News Shipbuilding where he used his steel structural design education to design carriers and submarines. He joined the Newport News Denbigh Lions Club in 1970 and has been involved in the Denbigh Day Festival every year with the exception of one. That year he returned to Ohio for a high school class reunion and a home town Fall Festival which is held the same week-end as Denbigh Day. He served the Club as President in the Lions year 1975-76, has held the office of Secretary since 1995 and has been the Denbigh Day Parade chairman since 2006. He and his wife Frances are members of the First United Church of Christ in Hampton where he served as treasurer for fourteen years and is now the Financial Secretary. He and his wife retired in 1992 and a common quote you may hear him say is, "when did I have time to go to work?" ​The Denbigh Day Parade is a community tradition handed down from Denbigh's past leaders and it marks the spectacular start to celebrate Denbigh's special day. Hence, the Denbigh Lions Club as hosts will again organize the parade and celebration which begin at ten o'clock am. Everybody loves a parade! You too? Be a part of the Denbigh Day Parade! See below for a Parade Application. ​the late Joseph W. and Dorothy (Sue) Moore. My father was in the United States Army and we were first stationed at Ft. Eustis in the early 60’s. After our first assignment to Ft. Eustis, we were stationed in Taiwan for 2 years before returning to Ft. Eustis a second time. My father retired from the Army in 1968 and the family built a home in Stoneybrook Estates. ​ I attended Reservoir Elementary School and then Denbigh High School graduating in 1975. I then attended Christopher Newport College graduating in 1979 with a BS in Business Administration. 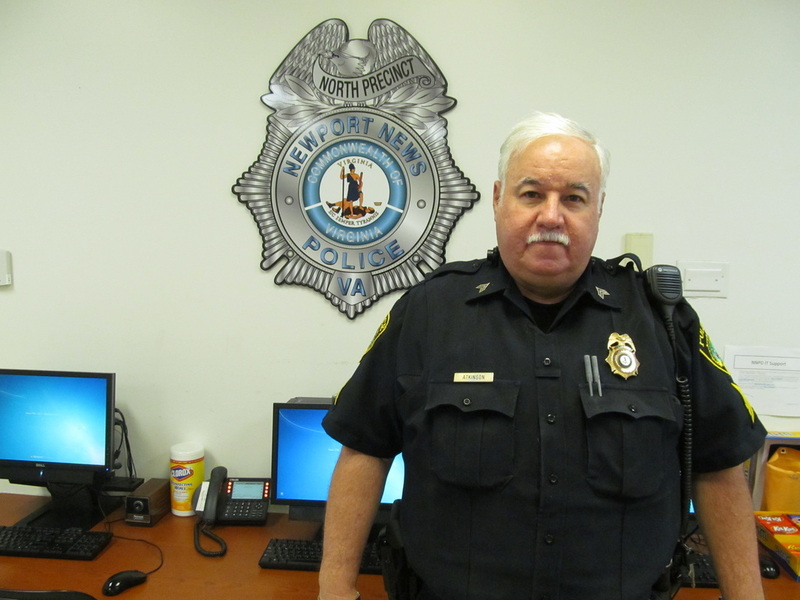 I joined the Newport News Police Department in 1979. ​ I have served in many different assignments throughout my career at various ranks. Of particular note, I served as the North Precinct Commander from 2002 until 2004. 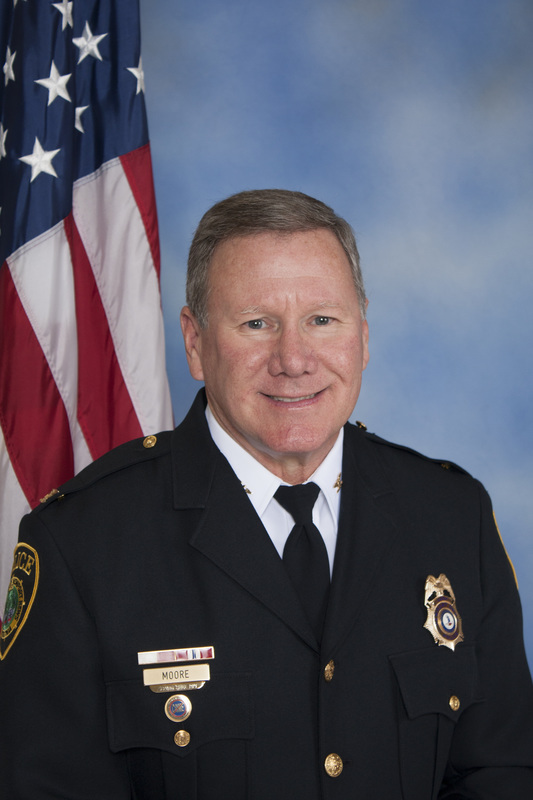 Promoted to Assistant Chief in 2005. I currently oversee the Investigations Bureau. ​ I have a Master’s Degree in Public Administration from Golden Gate University. Graduate of many specialized training courses to include the FBI-National Academy 178th Session. ​ I am a member of St. Jerome Catholic Church and live in the Shore Park area of Denbigh with my lovely wife Deborah (whose family has deep reaching historical ties to Denbigh) I am very proud to say that for over 50 years I have been a resident of Denbigh. I was raised in Denbigh by my mother, Baerbel Grinstead, and my father, the late Willie Grinstead. My father retired from the Newport News Fire Department. I attended Jenkins Elementary School, B.C. Charles Elementary School and Menchville High School graduating in 1981. 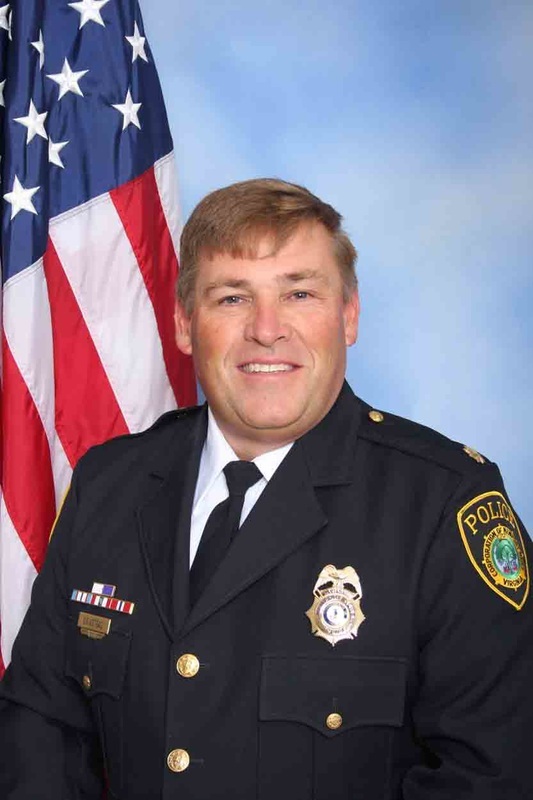 I joined the Newport News Police Department as an Auxiliary Police Officer in 1982 and became a full-time officer in 1983. I have served in many different ranks and assignments. Of particular note, I served in North Precinct as an Officer, Sergeant, Lieutenant and the Commander. I was promoted to Assistant Chief of the Support Bureau in 2015. ​ Also in 2015, I retired from the United States Naval Reserves as a Senior Chief having served in Afghanistan and Iraq. ​ In 1989, I graduated from Christopher Newport College with a Bachelor of Science Degree. ​ I have lived in the Menchville area for over 45 years. I am married to Celia, a Nurse Manager at Riverside Regional Medical Center, and we have two grown children: Michael, who works for the Newport News Fire Department as a Senior Firefighter/Medic and Heather, who works for the Newport News Police Department as an Officer. WHEN THE PARADE HAS ROUNDED THE LAST CORNER, THE FUN IS DEFINATELY NOT OVER! YOU COULD EVEN WIN A PEARSON TOYOTA! GET A LIONS CLUB RAFFLE TICKET FOR A CHANCE AT WINNING A PEARSON TOYOTA - 2016 Denbigh Lions Club, "Denbigh Day Raffle" THANK YOU TO HERITAGE SPONSOR - PEARSON TOYOTA SCION! Pearson Toyota has a long history of generosity to the Denbigh Lions and the Denbigh Day Parade and Festival - the proceeds of that generosity go back into the community through sight and hearing initiatives... win, win! Thanks to Pearson Toyota - a heritage sponsor of Denbigh Day! 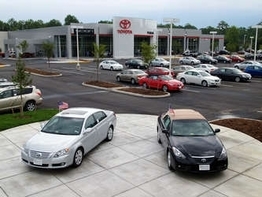 ​2016 DENBIGH DAY GRAND PRIZE TO BE ANNOUNCED - IT WILL BE A USED CAR FROM PEARSON TOYOTA. Billy has played with legends such as Little Milton, Albert King, Earl King, and Art Neville, while opening for the likes of Robert Cray, B.B. King, Sonny Landreth, The Neville Brothers and Joe Cocker, to name a few. He has performed on Barbara Walter’s “The View”, with the San Diego Symphony, the 2002 Super Bowl celebration as well as for the grand opening of L.A.’s House of Blues. Billy has also accomplished some impressive theatrical stints including lead guitar for the Broadway show “Ain’t Nothin’ but the Blues” and for Tony Award winning playwright Keith Glover’s Bluesical, “Thunder Knocking on the Door,” which he recorded with platinum recording artist Keb Mo. Exciting things are happening for Billy in 2013, as he has released is highly anticipated new CD entitled, “Friend.” Along with his touring players, this release hosts guest appearances from Bill Payne (Little Feat, J.J. Cale), Ron Holloway (Warren Haynes, Tedeschi/Trucks), James “Hutch” Hutchinson (Bonnie Raitt, Neville Brothers), Kenny Gradney (Little Feat, Delaney & Bonnie) and Mike Finnigan (Jimi Hendrix, Joe Cocker). "After the Parade on Sept 19, the BTB will play for the Denbigh Day festivities, starting at 11am. Gonna be a phunky good bluesy schmoozy time, y'all.. C'mon!" SO - Gird your loins - Get ready for a Blues Meltdown from a blues master and guitar sensation, Billy Thompson and his cadre of talented musicians all worthy of their own bands. Check him out beforehand at billythompsonmusic.com and be sure to come out for a thrilling performance and a good time. "Billy Thompson has been delivering guitar work that has electrified audiences in the U.S. and throughout Europe, setting the tone for this veteran musician’s sizzling performances, both live and in studio. In his original music, he combines tasty, “behind the bar” slide, searing electric guitar and soulful vocals with a unique amalgamation of styles including blues, rock, funk, New Orleans and R&B." THE BILLY THOMPSON BAND WILL BE TURNING THE BLUES LOOSE ON DENBIGH WHEN HE INSTIGATES A "BLUES MELTDOWN" AT SEPTEMBERS' 56th ANNUAL DENBIGH DAY FESTIVAL!